This comprehensive range of lines continues to be a worldwide market leader. The affordable price and exceptional quality have made the line a favourite at every level. • Thirty-five different lines in the range from #3 weight floaters to #11 weight sinkers. • All models designed to work in perfect harmony with all Hardy rods and reels. • All lines come with tough, resilient coatings. • A complete range of accurately calibrated sinkers. • Applicable to fly fishing situations worldwide. 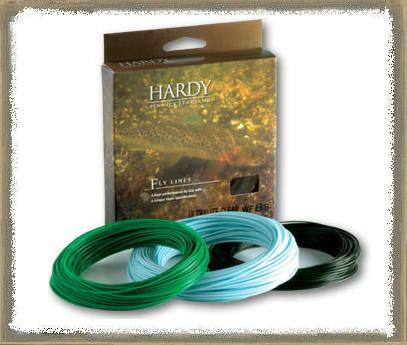 Manufactured to exacting specifications our lines offer unsurpassed casting performance and are designed to work in perfect harmony with Hardy rods and reels. A floating line that’s an outstanding value with excellent shooting properties and superb buoyancy, as tough a line as they come and, with its striking ice-blue sheen, is visible in all conditions.